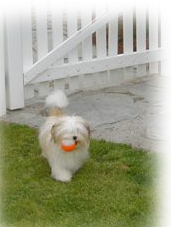 You must own or co-own at least one registered Havanese. You must be in good standing with The American Kennel Club. You must agree to abide by the HCA Constitution and By-Laws & Code of Ethics. You must be endorsed by two HCA members in good standing who have been members for at least two years. These two endorsements may not come from the same household membership. The HCA encourages all Havanese owners and fanciers to become involved with club activities, whether on local or national level. For many new owners, the best opportunity to learn more about the breed, to network with fellow Havanese owners and to participate in activities comes through affiliation with a local club. We invite you to visit the local club section of our website for more information. Contacting a Committee Chair to learn more about volunteer opportunities available. Support the HCA by attending the National Specialty and Local Club shows and events.